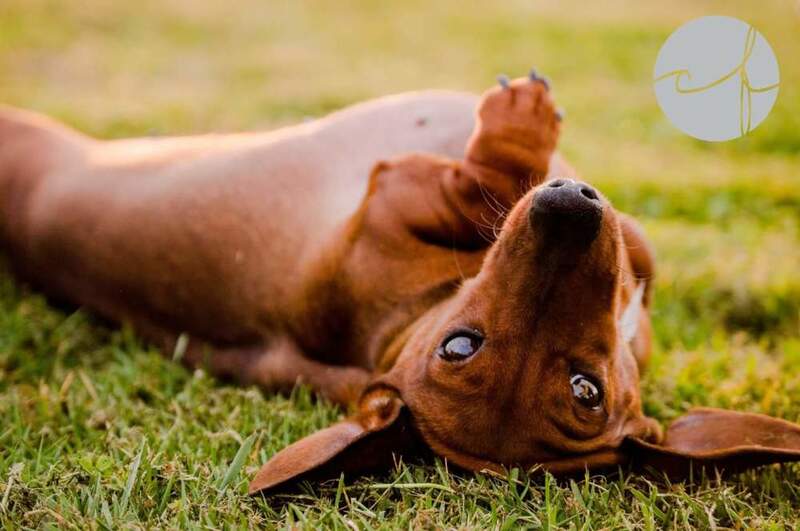 With over 30 years experience in Animal Husbandry, 13 years of breeding dachshunds exclusively, Bright Creek Kennels is by far the premium, yet humble place to come and discuss your needs and wants in a new family companion. We have, over the years bred and raised horses and canines. We encourage you to stop by and visit the farm. There is a waiting list, and the $100.00 deposit is fully refundable at any time during the process! Browse the website, view the Puppies and especially the Mom's and Dad's, whose good looks and personalities shine through their offspring. ​How to Make a Deposit. First view and fill out the profile sheet. Then click on the "Make a Deposit" button below and go directly to Paypal. If you prefer, checks for deposit are acceptable, just mail your check to the address below. All pickups of puppies require either Cash or Paypal (add 3% when paying off the final payoff amount). You will receive an written acknowledgement of your deposit. Remember, the deposit is fully refundable if you change your mind, period. Take your time, and browse our site. It's a way that many people, including myself, begin their mornings. We want you to make an informed decision about a puppy. Don't forget the newly revised AKC website and research on the internet the breed. Take advantage of all the resources available to decide if a Dachshund is right for you and your family. We love people who want to adopt our older dogs as well. A five year old might be the right "fit" for your lifestyle. 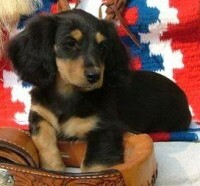 Most all of the people who purchase a puppy from Bright Creek Kennel stay in touch. A lasting bond/friendship develops as you arrive at that moment of "this WAS worth waiting for". Our many years of showing, breeding, animal husbandry and just plain love of the dog helps us help you, in the transistion of caring for a new family member. Take advantage of our many articles that we re-publish from other public sites on our Facebook page to help you learn how to train and mold your new family members personality. No one ever said the wait would not feel like an eternity, but the day you get to hold your new puppy in your arms it will all be worth it. 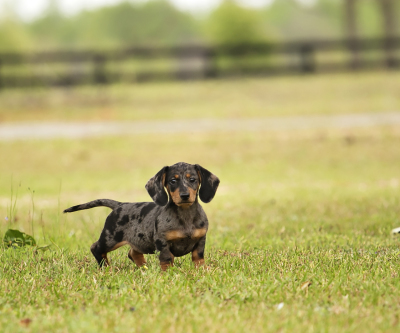 Take advantage of the many years experience we have in producing the most structually sound example of the Miniature Dachshund breed. They are like no other dogs on the face of the planet. The best is worth waiting for! Ali teaching Cooper to slide! Dachshund Family Picture of the Week! 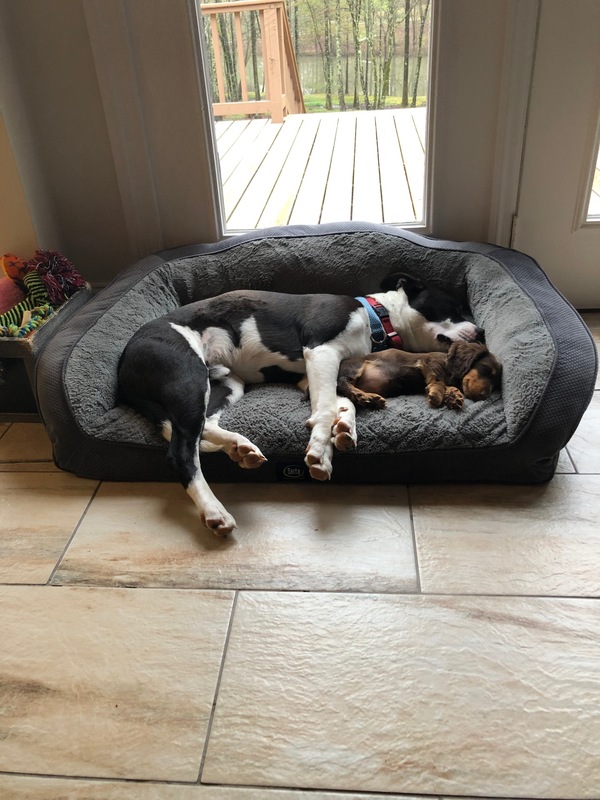 Coco is loving life with her new brother!